Leah Rosenberg ‘Where One Was None’ (detail), 2015. Image courtesy of Pro Arts Gallery. 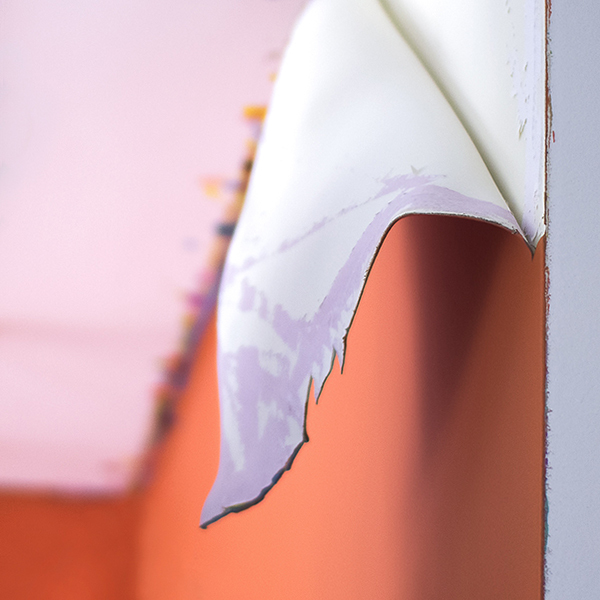 Ongoing to November 14th – 2 x 2 Solos: Leah Rosenberg curated by Rhiannon Evans MacFadyen at Pro Arts in Oakland: 2 x 2 Solos is a series of solo exhibitions featuring new work commissioned from accomplished emerging artists based in the Oakland/Bay Area. For 2 x 2 Solos, Leah Rosenberg displays the remnants of her experience in residence at Irving Street Projects earlier this year. Sheets of paint derived from a progressive installation are framed and hung reflective of how they were in the original space. A table and chair, thick with coats of latex paint, sit in the center of the gallery. What was once an ephemeral performance, is transformed into large-scale art objects, displayed with all their layers, cracks, tears and failures. Rosenberg’s installation reminds us to experience delight when things fall apart – that life, time, loss, flaws, accidents, are ingredients to also create something out of nothing and to create joy where there once was none. An Artist’s Reception will be held on First Friday, October 2, 6-8pm. An Artist’s Talk and Calalogue Launch is scheduled for First Friday, November 6, 6.30pm. Exhibition and events are free to the public. 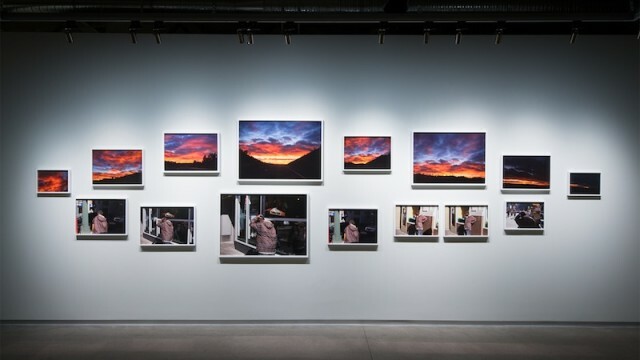 Paul Graham, installation view. Image courtesy of Pier 24 Photography. Ongoing to February 29th – Paul Graham: The Whiteness of the Whale at Pier 24 Photography: Pier 24 Photography is pleased to present The Whiteness of the Whale, a solo exhibition by British photographer Paul Graham (b. 1956) who lives and works in New York City. For the first time, this exhibition brings together three bodies of work made in the United States between 1998 and 2011, American Night (1998–2002), a shimmer of possibility (2004–06), and The Present (2009–11). The Whiteness of the Whale features nearly sixty works, ranging from singular large-scale photographs to sequences of over twenty images. This exhibition marks Pier 24 Photography’s first single-artist presentation and the only time a shimmer of possibility has been presented in its entirety. Graham’s three bodies of work from this period operate as an informal trilogy, linked not only by common subject matter, but also by underlying issues such as racial and social inequality, the texture of everyday life, and the nature of sight, perception, and photography itself. 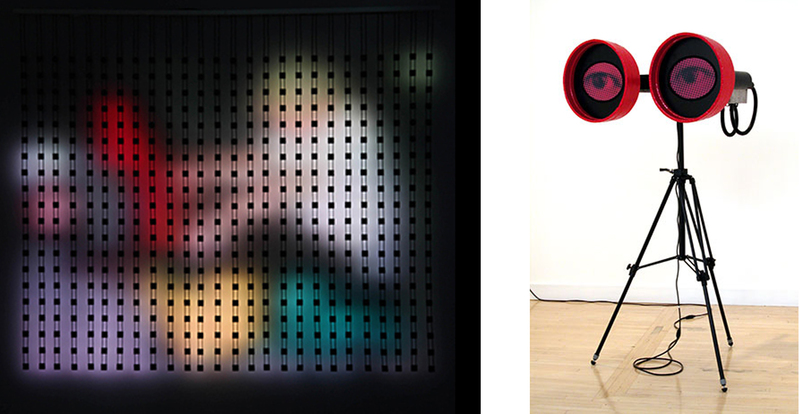 Jim Campbell ‘Home Movie’ video installation with custom electronics and LEDs and Alan Rath ‘Voyer III’ mixed media. Images courtesy of the Contemporary Jewish Museum. October 15 – January 17th – NEAT: New Experiments in Art and Technology at the Contemporary Jewish Museum: The 1960s program Experiments in Art and Technology (E.A.T.) was a turning point in art’s relationship with science as artists and scientists worked together on new, creative projects. The CJM’s Chief Curator Renny Pritikin with consultation from Paolo Salvagione, curate NEAT: New Experiments in Art and Technology, acknowledging that seminal event and celebrating the Bay Area’s leading role in bringing digital innovation into the fine arts. NEAT features nine Bay Area artists, representing three generations of practitioners. Each artist has been commissioned to make a new piece, or update an older artwork, that demonstrates how digital programming is a central, yet just the latest, tool for artist creativity. October 18th, noon – 4pm – Passport 2015: Japantown, Peace Plaza, Japantown: The San Francisco Arts Commission Galleries (SFAC Galleries) is hosting its signature event, Passport, on Sunday, October 18, 2015. This unique event puts the art collecting experience in the hands of the general public. By bringing local artists into neighborhood venues, Passport attendees can “create” their own limited-edition artist’s book by collecting original, artist-designed stamps in a customized “passport” notebook. 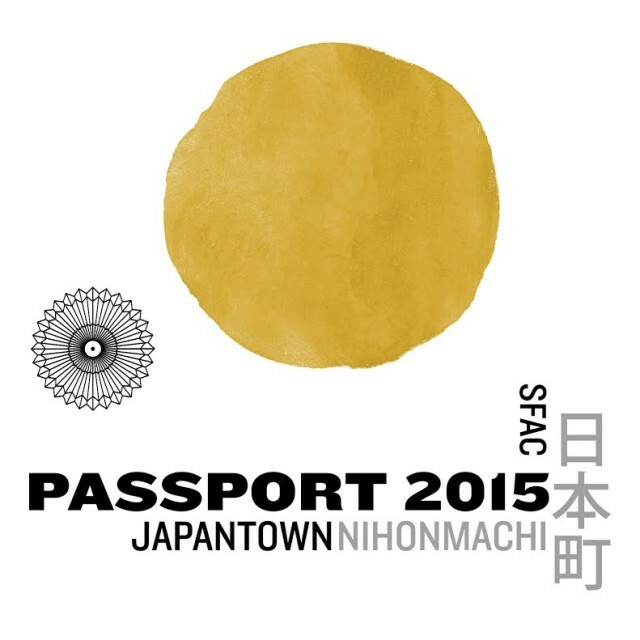 Walking throughout Japantown, hundreds of do-it-yourself art collectors will follow a designated route to collect stamps from hot Bay Area artists while discovering the small businesses that line one of the Mayor’s Invest in Neighborhoods corridors. Purchase your passport for $25 here. Or at Passport 2015’s Home Base (Japantown, Peace Plaza) on Sunday, October 18, 2015 between 11:30 a.m. – 3:30 p.m.
Paulina Berczynski ‘Consider the Difference’, cotton, hand-woven on digital Jacquard loom. 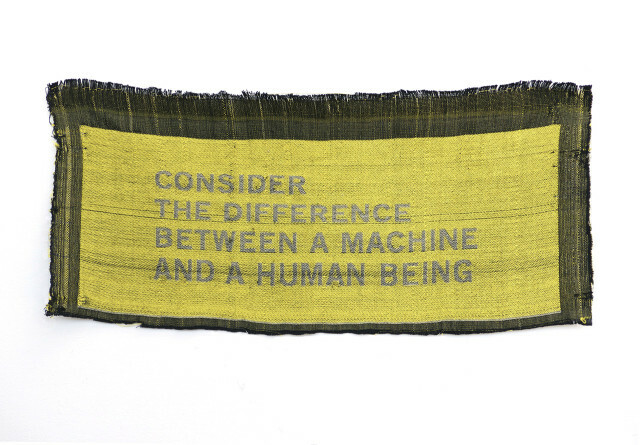 Image courtesy of Embark Gallery. October 23rd – December 5th – Technophilia at Embark Gallery: Embark Gallery offers exhibition opportunities to graduate students of eight local art institutions including California College of the Arts, Mills College, San Francisco Art Institute, San Francisco State University, San Jose State University, Stanford University, University of California, Berkeley and University of California, Davis. They provide a space for an engaged community of artists, curators and scholars, and aim to expand the audience for up and coming contemporary art. The juried exhibitions are held at their gallery in the Fort Mason Center in San Francisco. For this exhibit jurors Amy Cancelmo, Kerri Hurtado and Megan McConnell, selected artworks of all media that utilize technology in new and unexpected ways, and that respond to the technological shift in culture so prevalent in the Bay Area. The opening reception is Friday, October 23rd from 6 – 9pm, Fort Mason Center – Building B.